More than one hundred migrant and refugee children in several locations in Bosnia and Herzegovina (BiH) have undergone medical examinations, one of the main preconditions for their inclusion in the education system. 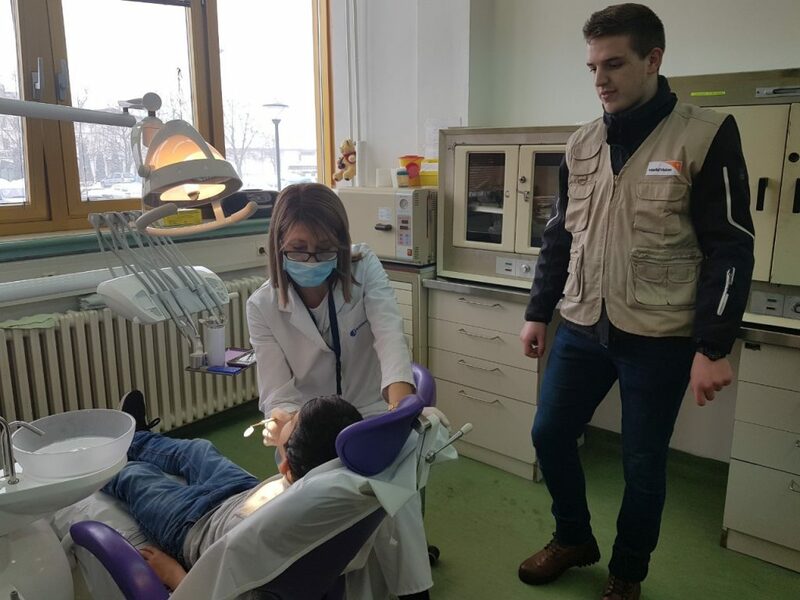 In cooperation with health-care centers in Mostar, Hadžići and Ilidža, free medical examinations were provided to children residing in the Salakovac Refugee Camp and to children staying with families in “House for All” in Ilidža. The EU Delegation to BiH announced that children staying at the Ušivak Acceptance Center in Hadžići would be provided with free medical examinations during the following week. The health condition of the examined children is satisfactory. Meanwhile, the pressure on BiH borders continues and more migrant groups are trying to enter, but also leave BiH and the ensured security they have in the centers for migrants. On Friday, 11 migrants were discovered near BiH – Croatia Border on the north of country, near Gradiška. Six of them are citizens of Afghanistan, three are from Algeria, one from Palestine and one from Libya. According to official information, a total of 23,902 migrants have been registered on the territory of Bosnia and Herzegovina in the period from January to December last year, where 22,499 persons expressed intent to seek asylum, but only 1,567 of them have applied. The greatest number of migrants arrived from Pakistan (7,770), Iran (3,663), Syria (3,017), Afghanistan (2,780) and Iraq (2,184).